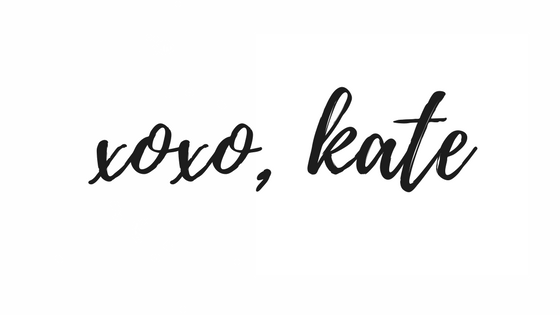 If you've been following me or reading the blog for any length of time, you might know that I've recently been passionate about finding more natural options for things like household cleaning products, makeup and body products. I've shared a few of my favorites on the blog, and more recently I've been talking about some things like my favorite BB cream on my Instagram story (follow me there if you're not already!) I've been meaning to write this post for a while, because I've been keeping a bit of a secret: the fact that I detoxed my armpits and went without deodorant for the last 9 months before finding a natural solution I felt comfortable with. I wanted to share the process here, and hopefully encourage some of you to consider making the same change! When Ezra was born, I spontaneously decided I wanted to quit wearing deodorant/anti-perspirant - of course I'd been using it almost every single day since I was 11 or 12 years old, but suddenly something didn't feel right about applying a product so harsh to such a sensitive and lymph-node saturated area of my body. I'm no doctor, but a quick Google search will bring up several different articles and studies in regards to the effects of prolonged aluminum exposure from conventional deodorants, harmful parabens, and even breast cancer. Since I was planning on breastfeeding, I became uncomfortable with the thought of absorbing those anti-perspirant chemicals into my body, and potentially passing them - however small the amount - through breastmilk. There's few things you can control when you become a parent, and I figured this was one thing I could take into my own hands, so I decided to go for it. Whether it's smoking cigarettes or going to yoga class, quitting anything cold turkey is going to have some sort of effect on your body - one day, you just decide to deprive it of that "thing" it's had for the last several months, years or even decades, and suddenly you're all off-kilter. I had researched armpit detoxes before, I knew a little bit about what to expect, I read all about slowly using anti-perspirants less and less, but I didn't want it to be some big long process, I wanted to just quit cold turkey. Mostly because I hate waiting for anything and need instant gratification, let's just be real here, HAHA. I woke up one morning, grabbed my stick of Degree, threw it in the garbage can and never took it out, never bought more "just in case", never used it again. What a great guy, hahaha. I'm not going to glamorize the experience and act like it was a piece of cake. I stunk, that's the long and short of it. I had been plugging up my sweat glands with chemicals for the last 15 years and now all hell was breaking loose. I showered as often as I could (not more than once per day, though) and used Ezra's baby wipes during the day if I needed a bit of a pick-me-up. Occasionally I would use an activated charcoal-based natural body lotion that someone recommended to me, but I don't want to recommend it here because I'm not too fond of the brand itself and frankly, using it didn't help my detox go any smoother, other than to kinda mask the smell. I definitely remember thinking, "when will this awful part end?" I do have to say, I had an advantage working from home after my maternity leave ended. I really only had to worry about the sweat and smell when I did go out in public, which wasn't every single day. So for working moms or moms with multiples who aren't going to stay cooped up in the house for 6 weeks, this initial detox period might be a lot more difficult than what I personally went through - but it is SO WORTH IT. I believe in you, seriously. I lost track of the timeline, but somewhere around the 3 month mark of no-deodorant was where I stopped really giving much thought to it in general - the detox period had basically come to a close. It was November - so, winter in Pittsburgh - I wasn't sweating in the summer heat, Lord knows I wasn't exercising so I wasn't sweating there, I was pretty much cruising through this part pretty effortlessly, and continued that way through the whole winter. When March rolled around, I started considering my options when it came to natural deodorants. Summer was approaching, and I knew I'd be getting hot and sweaty, Ezra would be almost a year old, I couldn't hide indoors anymore. Yes, at this point my armpits were devoid of chemicals, but that in NO way means that I didn't have any body odor at all. I enjoy eating things like garlic, onions, and any number of other stinky foods - these things just naturally change your body odor. I started doing some research on natural brands and came across Primal Pit Paste (also, this is not a sponsored post, this is just genuinely what I use and love). This organic, vegan deodorant (NOT anti-perspirant) is made in the U.S.A and contains ZERO chemical ingredients - sign me up! I was a little skeptical at first because I feel like natural deodorants have a bad reputation for not "working" properly or not masking the scent. I just hoped this wouldn't leave me sticky, sweaty or with lots of residue. I decided to go for it and purchased the lavender deodorant stick, and I love it. It's easy to apply, doesn't irritate my skin, has a pleasant smell, and it does it's job. I even forgot to put it on one morning, and Jack and I spent the afternoon outside at a food truck festival downtown, and I wasn't profusely sweating or stinky. 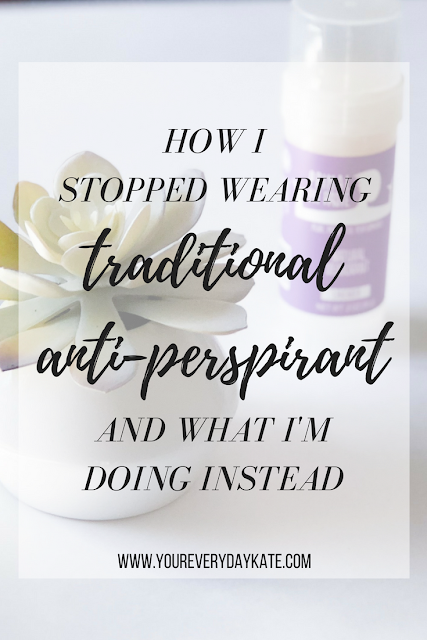 I remember forgetting a day of regular anti-perspirant always put me in instant panic mode, keeping my arms glued to my sides, frantically thinking of the nearest drugstore I could buy a backup stick. There's a reason natural deodorants get a bad rap - usually it's because the wearer decides to make the switch from traditional anti-perspirant to a natural brand within one day, without considering the detox that inevitably occurs. So after one day when the natural brand isn't masking the scent, they think it must be a crappy product, when in reality your body needs time to detox and get rid of those built-up chemicals from your traditional anti-perspirant first. That being said, if you're going to make the switch to natural deodorant, you have to go through the stinky, smelly detox period - I know it stinks (literally and figuratively), but it's worth it in the end. 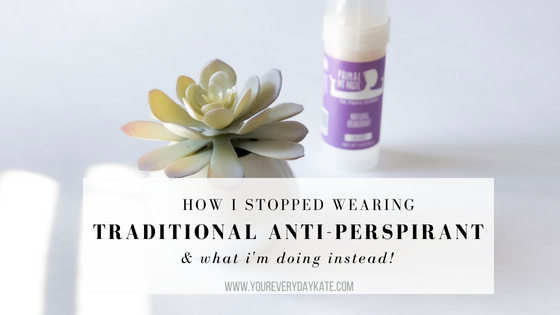 Have you ever tried to make the switch from traditional anti-perspirant to natural? I'd love to hear your experience too! I had no idea about the detox period! Glad for your review of this brand, too. I always think about making the switch! You totally should! You won't regret it - and now you'll be more prepared for that nasty detox! I've tried not using deodorants with aluminum in them several times and every time I fail, but you inspired me to try again. I just need to accept that I'll stink for awhile but eventually it'll get better haha. I'm also definitely going to check out the Primal Pit Paste product! Haha, it's not easy but it's definitely worth it! ugh my journey has been TWO years of finding the right natural deodorant! 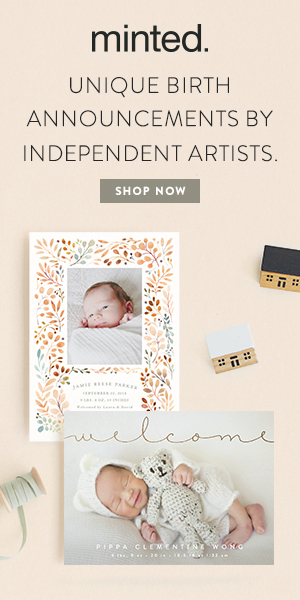 I'm working on a post about this myself since I think I finallyyyyy found one that works! SO happy pit paste worked for you!! Two years, that's crazy! It's really hard to find what works for you, I'm glad you finally did!